Till now we might be aware of the round or square shaped lights only and have not come across any mushroom shaped lights that can lighten our homes or offices in a more delighted way. If you also want to try something different and attractive then the regular form of lightings, then you can use a Mushroom shaped 12.5w LED Flush mount fixture that will look more creative and unique while installed at your place. 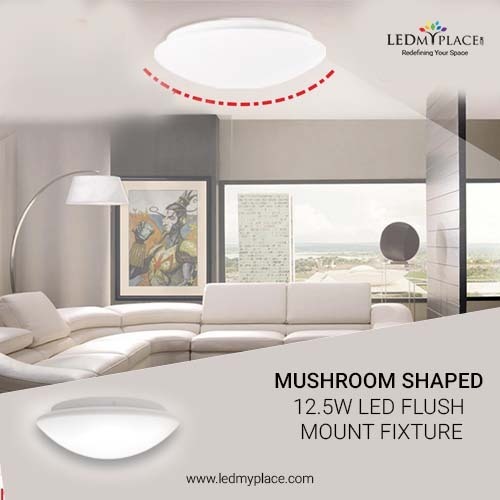 * Theses mushroom shaped 12.5W LED flush mount fixture provides more attractive look to the home or office interiors and you replace those traditional incandescent surface mount fixture with these LED flush mounts in a more profitable way. * These lights can deliver lumens of more than 1050 with even and uniform lighting, thus lighting the entire place or area. * Comes in three different color temperatures including 3000K, 4000K and 5000k and are suitable with most of the standard dimmers. * These dimmable round mushroom shaped 12.5w LED flush mount fixtures comes with 5 years of warranty from the manufacturer’s site as well in addition to cULus and Energy Star approval. 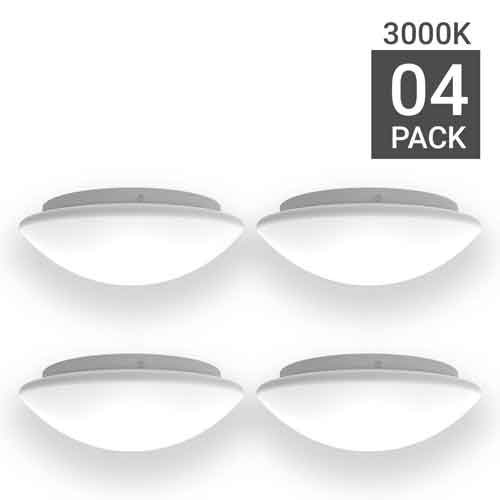 So install these round mushroom shaped 12.5w LED flush mount fixture that can work for a longer period of time without affecting the environment and you can also ensure the safety of your loved one as these mount fixtures don’t produce harmful IV and UV rays which otherwise are harmful for the human’s health.